We cold press our oils right here in Central Michigan! All of our products are hand made in small batches, seasonal and all natural, from our homestead to you. 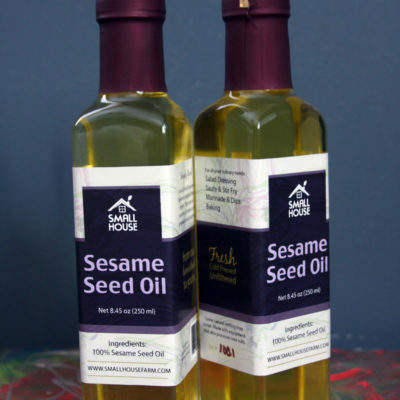 Also known as “green gold”, pumpkin seed oil has a pleasant and mild flavor. 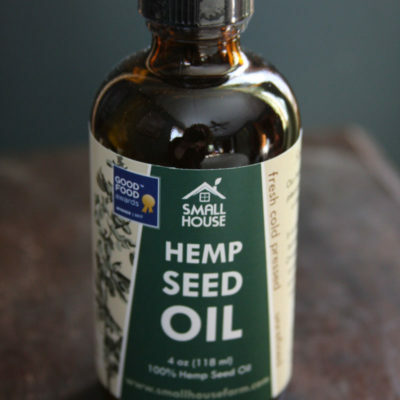 A great way to use this oil is in a salad dressing, smoothie, or drizzled over a freshly cooked meal just before serving. 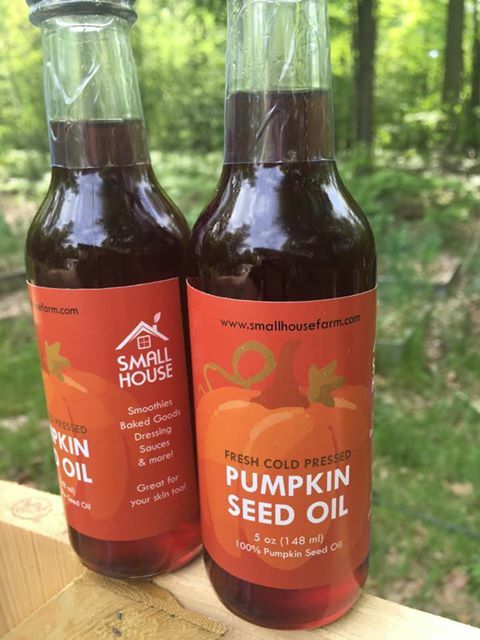 Pumpkin seed oil is one of the most nutritional oils available, and contains essential fatty acids, antioxidants, vitamins, and sterols. 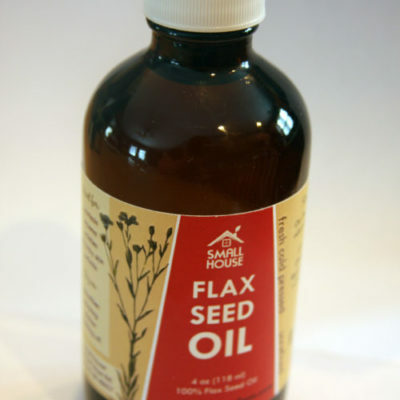 It contains Omega-3 and Omega-6 fatty acids, vitamins A and C, zinc, and other trace minerals and vitamins. Fun Fact: Historically, pumpkin seeds (either the whole seeds or the pressed oil) have been used all around the world for healing purposes. The medicinal use of pumpkin seeds are best documented from their use by Native Americans. The primary medicinal use was as an internal parasite remedy. In fact, the effectiveness of pumpkin seeds was so well observed that by the 1800s to early 1900s, the United States pharmacopoeia listed pumpkin seeds as an official medicine for the treatment of parasites.